This loaf has a bit of a confused identity but is delicious all the same! 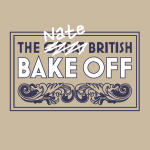 After a couple of gluten-free recipes, I was keen to dive straight back in to some ‘proper’ baking. 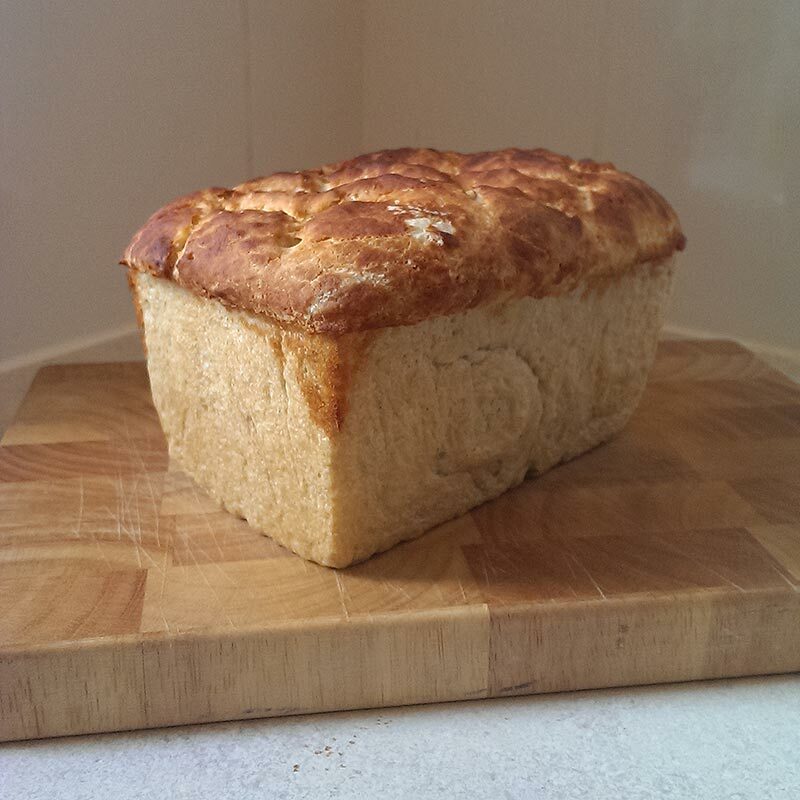 This recipe is a slight variation on previous bread I have made before, taking the best bits of different loaves and combining them into one ‘super loaf’. 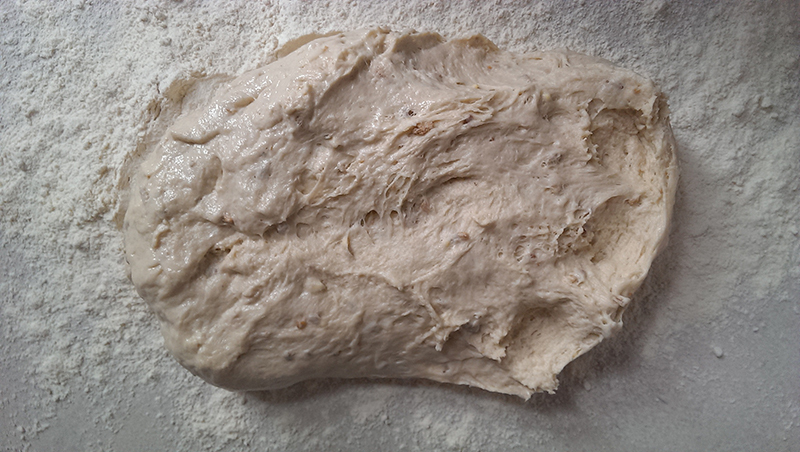 It uses the one-step bread dough process from Nick Malgieri’s book, ‘Bake!’. In a large bowl, whisk the yeast into the water. Wait for 30 seconds and whisk again ensuring it has all disolved. Whisk in the oil. Use a large rubber spatula to mix in half of the flour to make a paste. 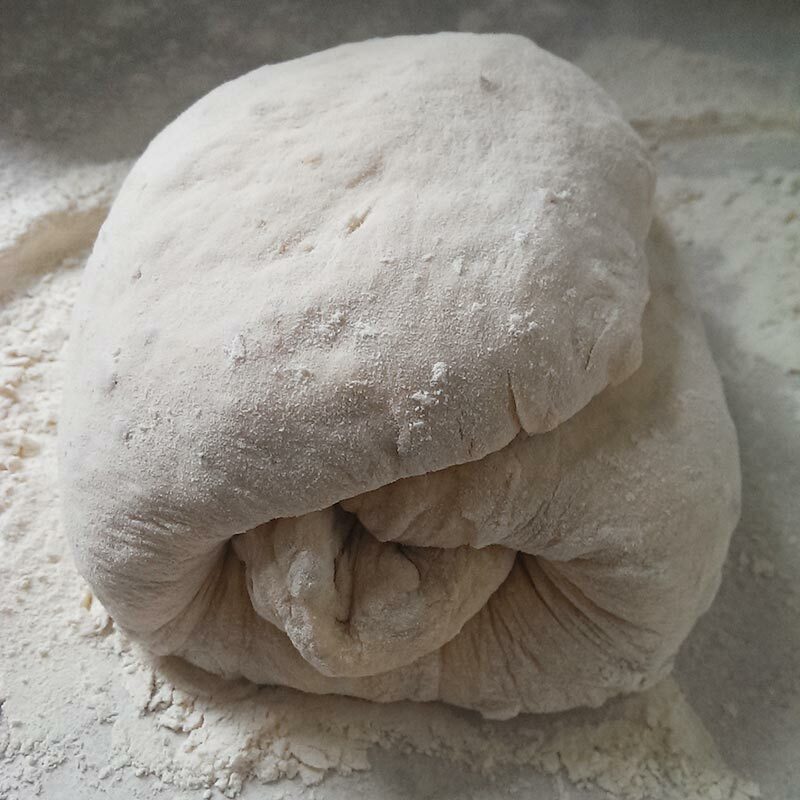 Repeatedly dig down to the bottom of the bowl and fold the dough over as you add the rest of the flour a bit at a time. Repet the digging until there are no dry bits stuck to the bowl. Cover the bowl with a clean tea towel or clingfilm and let the dough rest for 15 minutes. Repeat the digging and folding process a few times, cover and allow to rest for a further 15 minutes. Lightly oil a large bowl large enough to hold twice the amount of dough you now have. 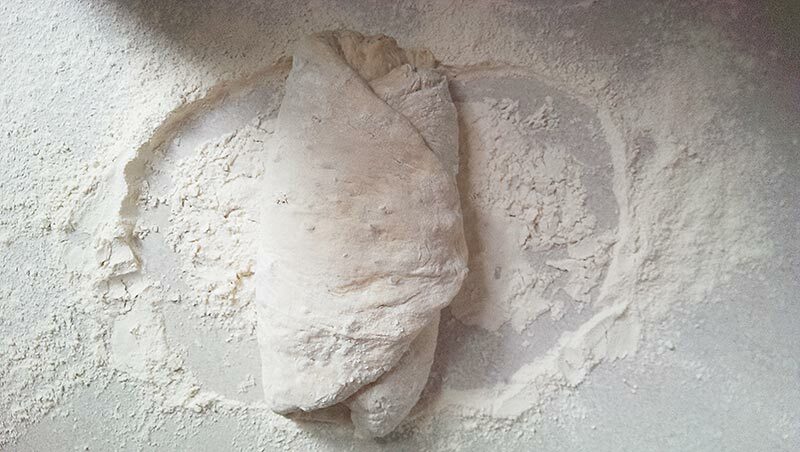 Scrape the dough on to a lightly floured worktop and pat the dough down into a rough rectangle. Then fold the other end over to make 3 layers. 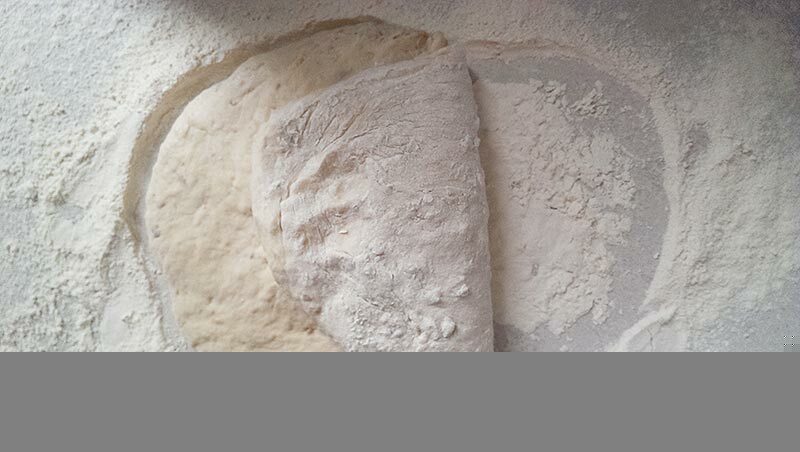 Turn the dough 90 degrees and repeat the folding. Invert the dough to the oiled bowl and allow to rest for 15 minutes before repeating the folding. Put the dough back into the bowl, cover with oiled clingfilm and rest for an hour before transferring to the tin you want to use. When the dough has been rising for 45 minutes, it’s time to mix up your Tiger topping. Whisk the yeast together with the warm water, then whisk in the remaining ingredients one at a time. Once mixed, set aside for 15 minutes. After an hour of your bread dough rising, transfer it to a loaf tin and spread the tiger coating over the top using a palette knife. Allow to rest for a further 15 minutes, in the meantime turn your oven on to 190c. 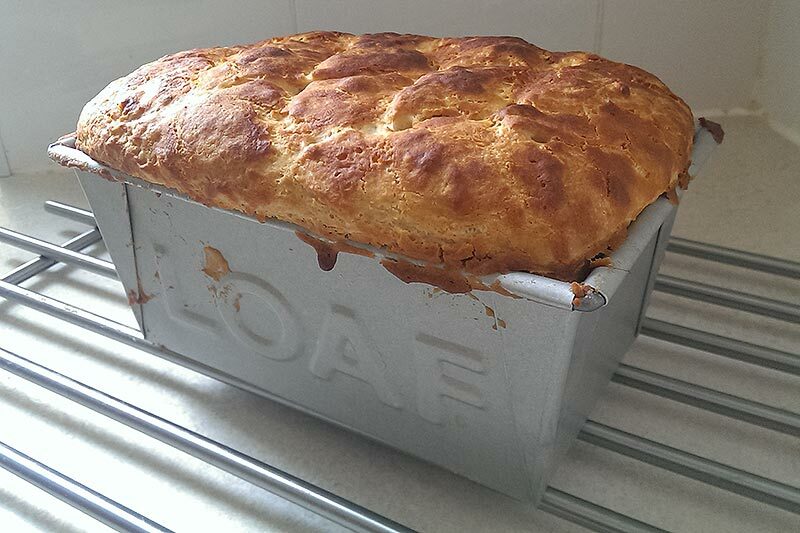 Bake the loaf for about 40 minutes, until the top is the colour of cheesy baked beans! 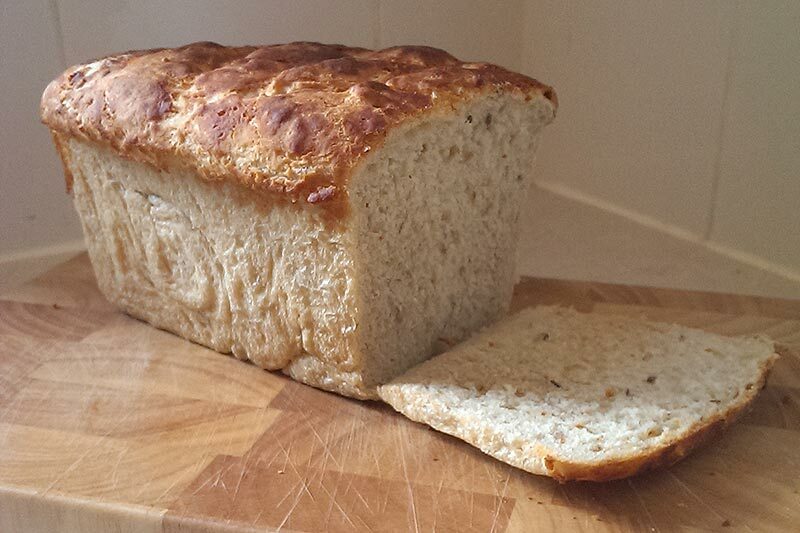 Pop it out of the tin straight away and drum your fingers lightly on the bottom of the loaf. If it doesn’t sound hollow, pop it back in the oven on a baking try for another 5 minutes. Lay the loaf on it’s side and allow to cool completely on a rack. Once cool, cut yourself a slice and enjoy. 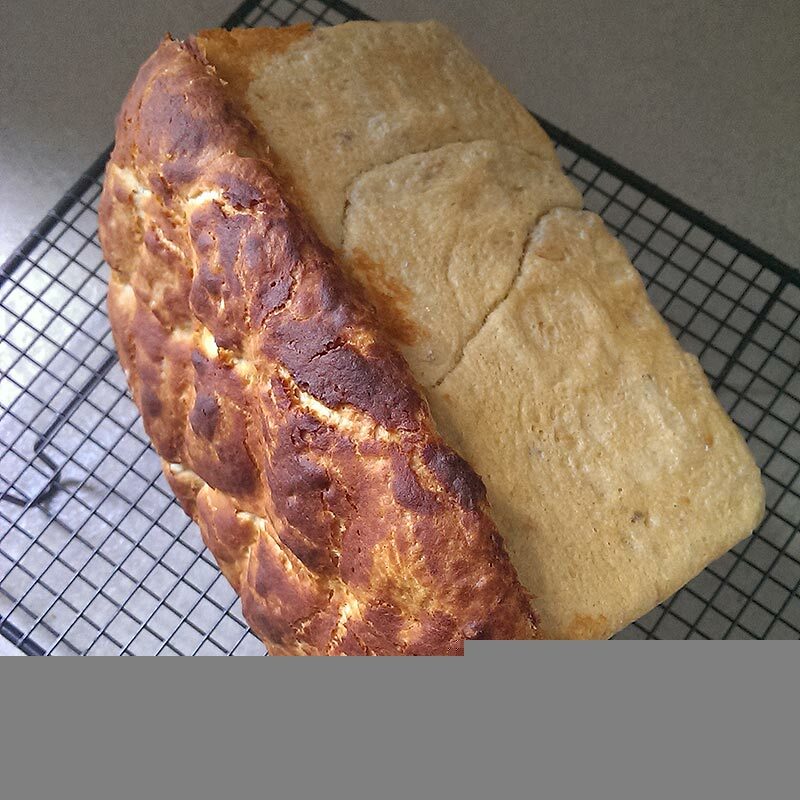 This bread is SO BOUNCY and light and the crunchy tiger top really adds another dimension to it. 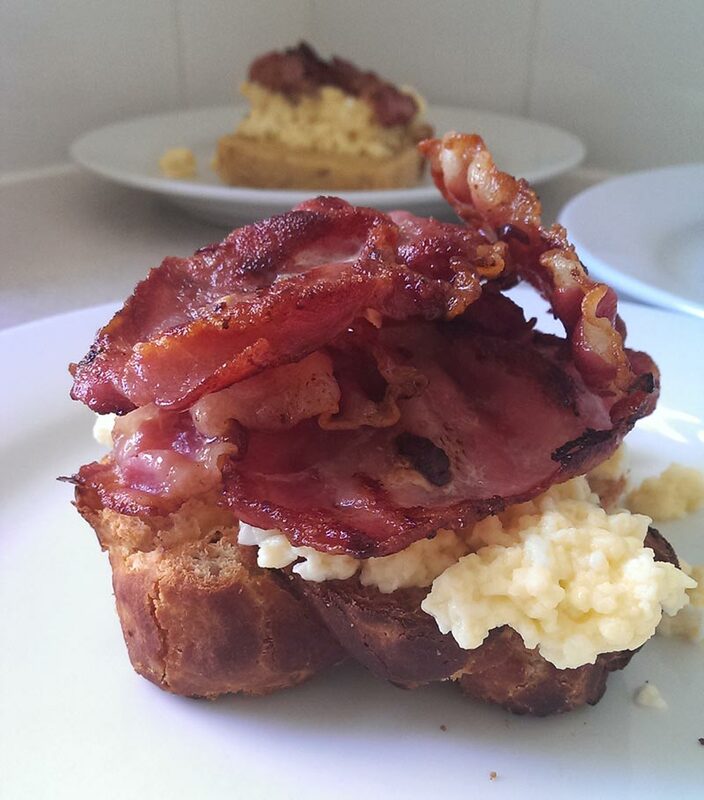 It’s even great the day after covered in bacon and scrambled eggs!